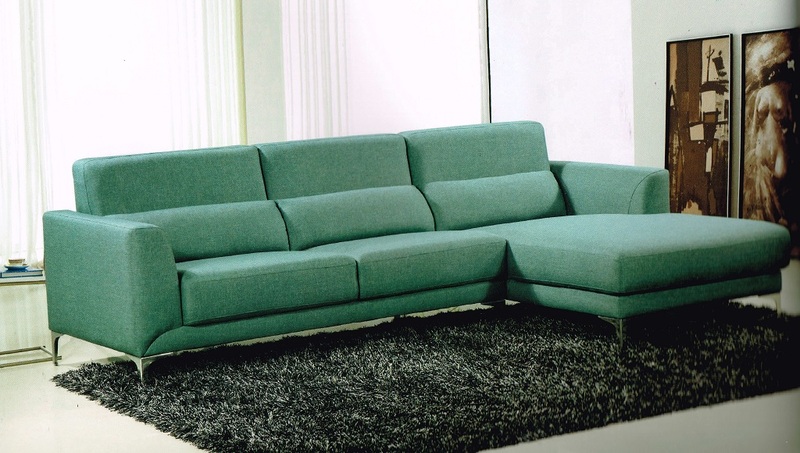 Comfort and style merge in this elegant and sophisticated sofa sectional. 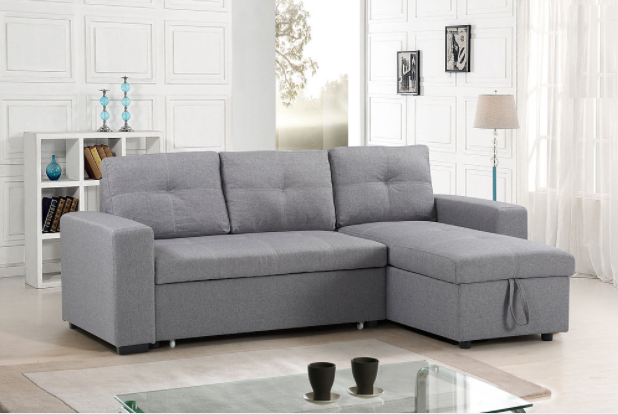 The floating ottoman allows for left or right facing- the perfect piece for any room’s configuration. 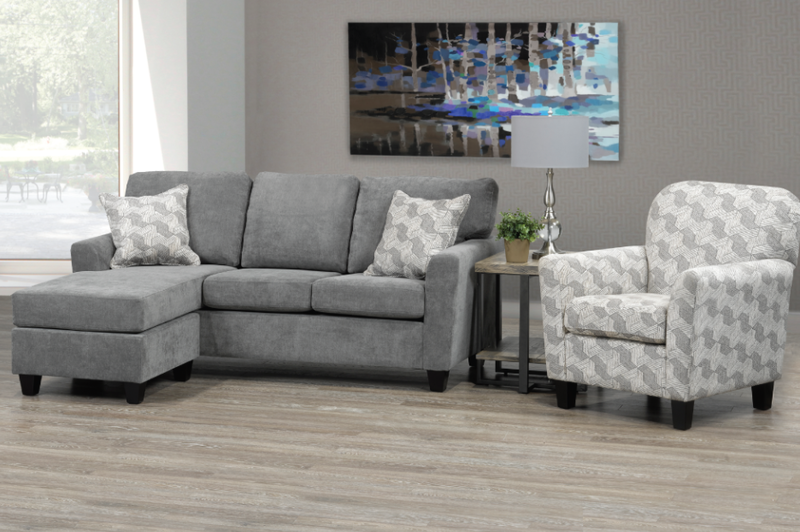 The contemporary style with solid lines offers an impressive look, while the platinum air suede fabric is soft to the touch, and a luxury to sit on. This sofa sectional comes with two matching accent pillows. Add T-455, the perfect accent chair to match!